Successful Resumes Cairns has been supporting local jobseekers get the job they want for almost ten years. 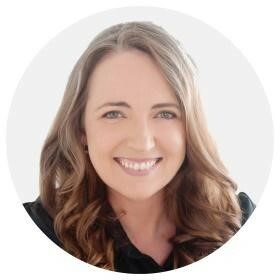 Managed by Elisa Gilmore, Successful Resume Cairns works one on one with clients in North Queensland, including Townsville, Mt Isa, Cairns, the Cape, Torres Strait, the Atherton Tableland and everywhere in between. We use our expert writing skills to write job applications that get results. We take the time to get to know you so we can craft resumes, cover letters and selection criteria that capture your unique experience and prepare you for your next job opportunity. Our resumes writers are locals and understand the North Queensland jobs market. We know what employers are looking for and how to present your work experience to demonstrate why you are the right person for the job. We have written resumes for clients across a range of industries including administration, mining, oil and gas, construction, education, health, trades, aviation and aged care. We are very familiar with writing selection criteria for Queensland Government jobs and through our partnership with Nurses Professional Association of Queensland, we are a preferred supplier for writing nursing resumes in Queensland. Regardless of your experience level or industry, Elisa and her team have the skills, knowledge and experience required to create professional, tailored resumes which speak directly to employer expectations.